Hi there! My name is Carrie. 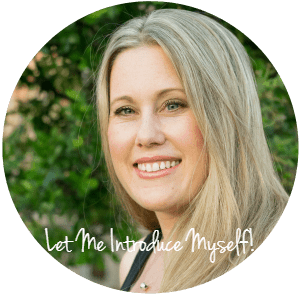 I’m a Dallas blogger and small business owner, and I’m so glad you’re here! On this blog you’ll find tons of free printables, meal planning and budgeting help, healthy 21 Day Fix-inspired recipes, kid-friendly content, and family travel destinations and tips. I run this blog and our Carrie Elle eCommerce shop full-time with my husband of seventeen years, Charles, who I met at a blackjack table in Las Vegas when we were twenty one. True story! Together, we work to bring beautiful, high-quality, and helpful content to my readers. We also spend a lot of time up at the shop, dreaming up planners and planning products and then turning them into reality! Two of our most popular planners are the Spend Well Budgeting System and the Meal Planner. I have a book called Make Anything Happen coming out in June of 2018. It’s all about vision boarding and how to put practical plans into place to reach your dreams. I’m so excited about it – being an author has been a dream of mine since I was eight-years-old, and I’m about to see it realized! I’m available for speaking engagements and love to talk meal planning, budgeting, organizing, and strategies for turning your passion into a side hustle! I’ve taught several sold-out workshops at the Pinners Conference, and these are my most popular talks. I have always loved to write, and blogging has given me a unique medium in which to express myself and share the things I am best at. I have two kids (a son, 9 – and a daughter, 6). There’s a lot of Star Wars, Minecraft, and My Little Pony up in here! We also have two dogs named Teddy and Snoopy, a horse named Seamus, and two miniature donkeys named Donkey and Harry. I am open to working with brands if we’re the perfect fit. You can read my PR page here.